Evangelist Gypsy Smith was born in England and his mother died when he was a small boy. His father led him to Christ; two years later he joined General William Booth’s Salvation Army and began preaching to crowds that numbered from one hundred to fifteen hundred people. He conducted evangelistic campaigns in the United States and Scotland for over seventy years. He came to America thirty times and preached around the world twice. In the Paris opera house, he had one hundred and fifty conversions out of the “cream” of Parisian society. 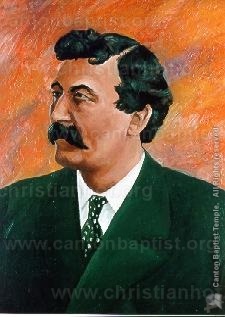 He was a contemporary of Fanny Crosby and G. Campbell Morgan.